"Thomas Anstey Guthrie (1856-1934) was an English novelist and journalist who wrote his comic novels and humorous short stories under the pseudonym F. Anstey. 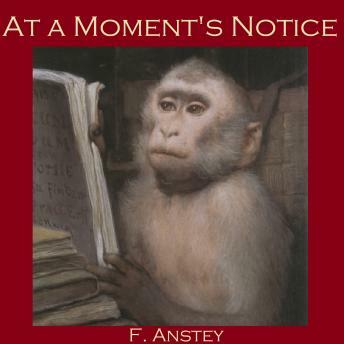 "At a Moment's Notice" is the amusing tale of a young man who is involved in a cab accident on Pall Mall. When he comes to after the crash, he has mysteriously been transformed into an organ grinder's monkey. His adventures in his new simean state are extraordinary and hilarious.